You will be surprised at how throwing a colorful curtain over your old windows can make them look bright and new. Before you call the contractor to replace your windows, consider hiding their age beneath attractive curtains. Repainting can add to the aesthetic appeal of your windows and help to increase the insulation, depending on the color you choose. You can also experiment with different patterns to find out which one has the most appealing effect on your windows. You do not have to be a professional to caulk your house windows like an expert. Caulking is best used to hide the cracks that might start appearing on your windows. In cases where your windows are too old and you want to overhaul their look completely, you may choose simply to replace them. 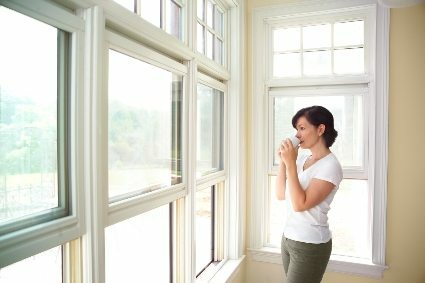 Fortunately, replacing windows is usually cheaper than many homeowners imagine. This is especially true if you can find a good contractor to do the job for you. Another treatment trick that is starting to gain popularity is to have a message painted on your windows. For instance, if your windows are in panels, you can have the message “Good” and “Night” painted on different, adjacent panels to give a refreshing new look to your windows.